My other bud and I went out for our regular 5am Fishfest on Friday and the OPP [water patrol bumped into us checking for all the NECESSARIES. A thumbs up to the officer and his first mate. There was NO STATIC, and he chatted us up. Gave us the ALL CLEAR and sent us on our way. This was the first time in a while that we have seen any presence on the lake. Nice to see as there are MANY , NEW I will say ( getting myself in trouble ) Citi-Type folk they come out 6 guys in a tin boat wearing dress suits squawking in some language nearly capsizing when they catch sunfish, bluegills, perch and other SMALL baiters. We had to save a " boating floatilla just last week from danger as they were right on the bouy path when a LARGE cruiser swamped them from its mega-wake and one guy fell out. No life jackets either,, just OLD ski belts. Anyway, great to SEE the water patrol. Great job, and the CHECK was justified. Keeping US honest. Good to see. Your post gave me a chuckle. What'chu sayin' 'bout dem citi folks der boy? To many idiots out on the water. I'm glad to hear they are enforcng safety, but stll doesn't teach many of the idiots how to opreate a boat safely. Stay classy and stay safe. Terry and I seen a good,n saturday. Atleast they all were wearing thier PFD,s. I found it funny when I read the email Dave that they asked if you had any beers in the boat (and that you were stopped WELL before noon). Some relate to different time zones,no matter where they are. Works for me. Like it says above the sink at the lake "It's always 5 o'clock here" ! Nice to see as there are MANY , NEW I will say ( getting myself in trouble ) Citi-Type folk they come out 6 guys in a tin boat wearing dress suits squawking in some language nearly capsizing when they catch sunfish, bluegills, perch and other SMALL baiters. 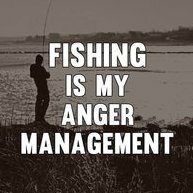 Darned Citi-type folks always causing trouble, imagine the nerve of them actually wanting to go fishing just like regular people. Must be a better class of city folk ya have over there in the Kawartha`s never seen a city slicker fishing with a suit on up my way!! !